(1 photo of a 1968 Special Orange Mustang Shelby GT-500KR Fastback) This incredible Special Orange 1968 Shelby GT500KR Mustang fastback with an R-code 428 Cobra Jet V8 is owned by Peter Disher of Wisconsin and runs one of the most interesting sites of Ford factory special colors thecoralsnake.com. Peter has identified several 1968 special order colors that the Shelby GT 500KR has been ordered in. This orange WT5158 is one of them. Peter writes: One of three painted this color by the factory in 1968. SAAC and Team Shelby National Award winner. (9 photos of a 1968 Acapulco Blue Mustang Shelby GT-350 Fastback) Acapulco Blue 1968 Shelby GT-350 fastback owned by Denny Headley from Illinois. This was our featured Attitude Of The Week for the week starting April 18, 2010. The car originally Lime Green, then painted white, then sat in a field for many years rotting away. The car was rescued from the field and restored. These photos were taken at the 7th Annual Main Street Fight Against Multiple Sclerosis Car Show held in Princeville, Illinois. 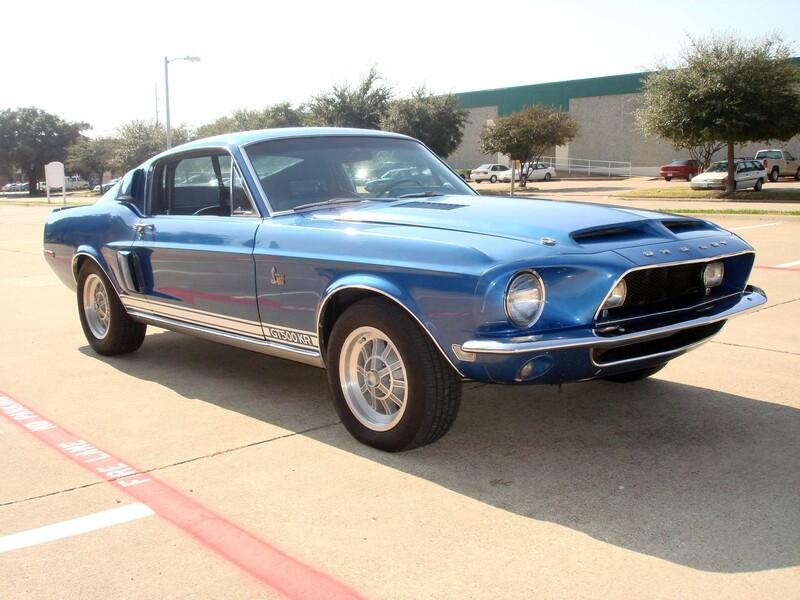 (3 photos of a 1968 Medium Blue Mustang Shelby GT-500KR Fastback) Medium Blue 1968 Mustang Shelby GT-500KR (King of the Road) fastback with a 400hp, 428 cubic inch, 4 barrel, Cobra Jet V8 engine.